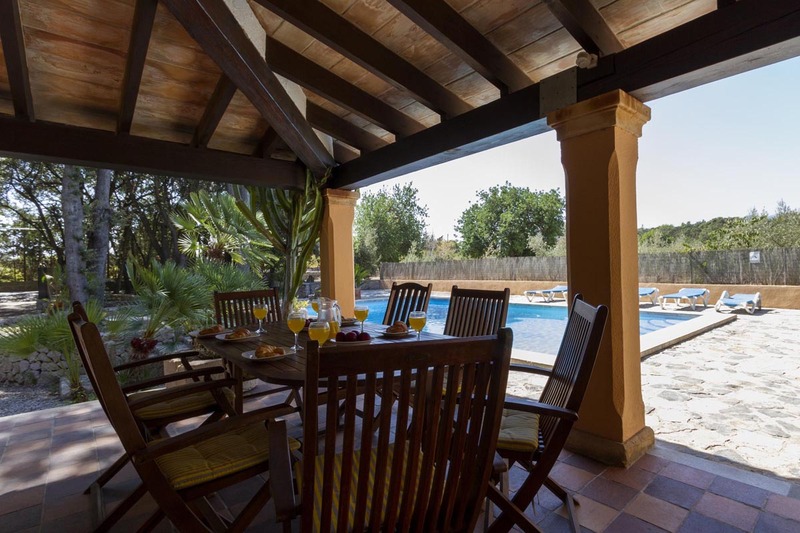 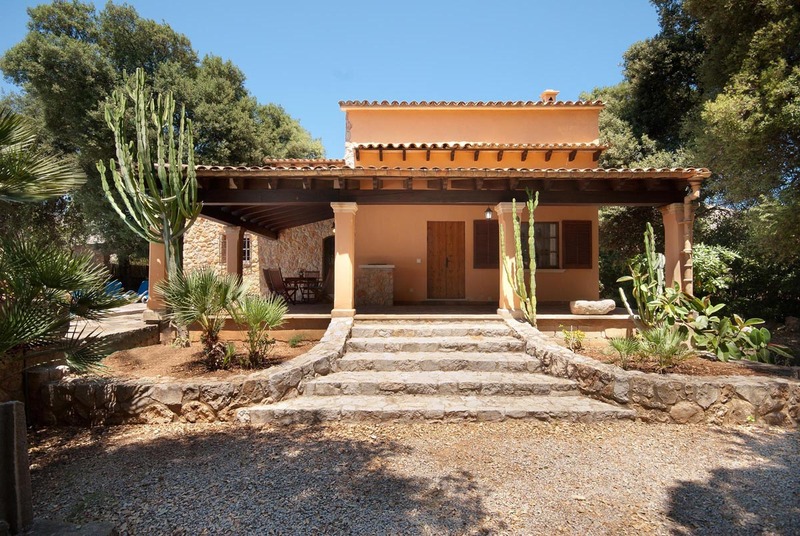 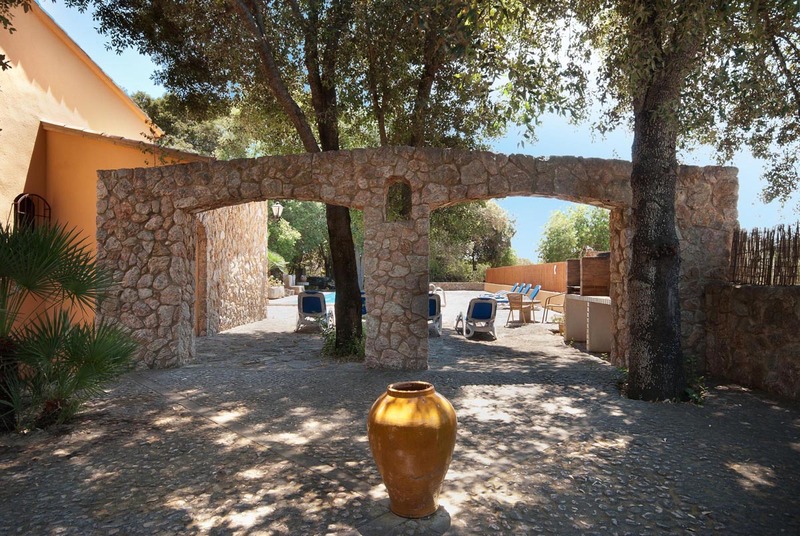 Villa Las Encinas is a popular family villa with a good level of privacy set in its own wooded gardens just a short drive from Pollensa with its fine selection of shops and restaurants. 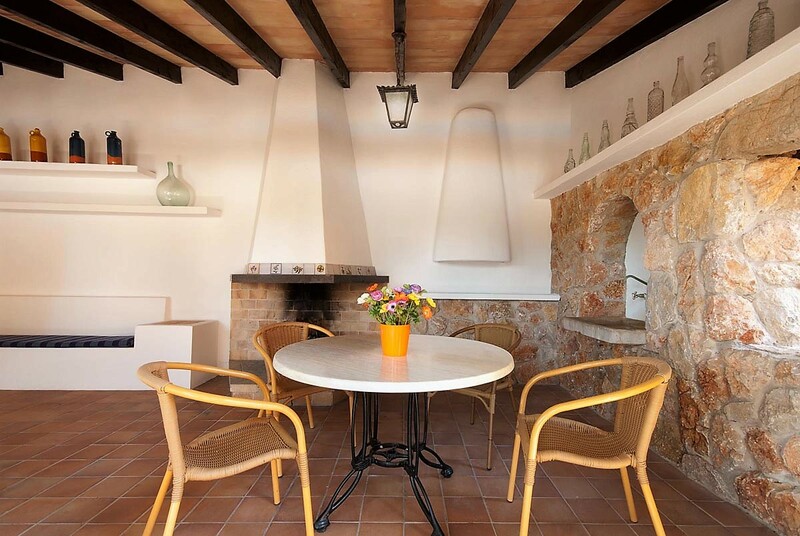 It lies in between the charming old town of Pollensa and the popular family resort of Puerto Pollensa with its sandy beaches, beautiful sea front and wide selection of water sports. 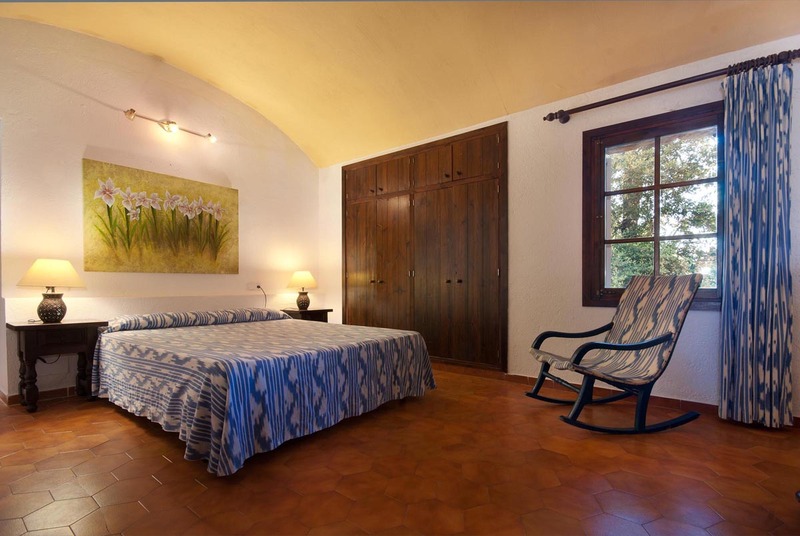 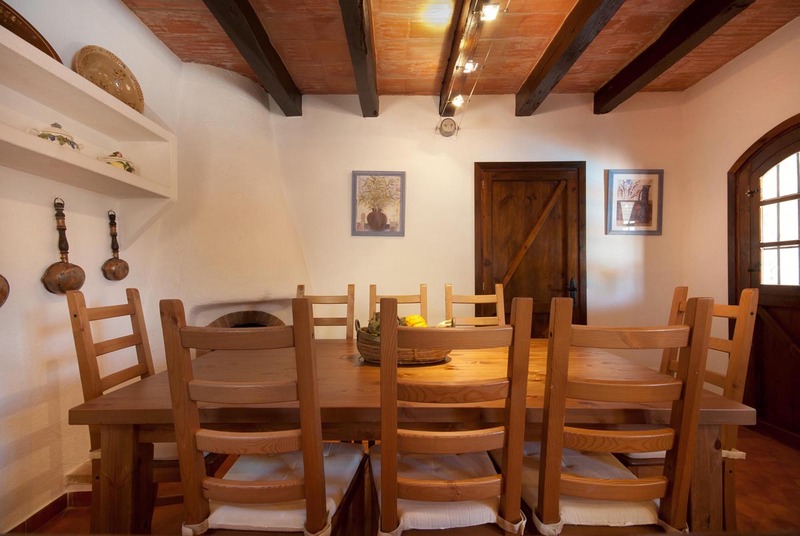 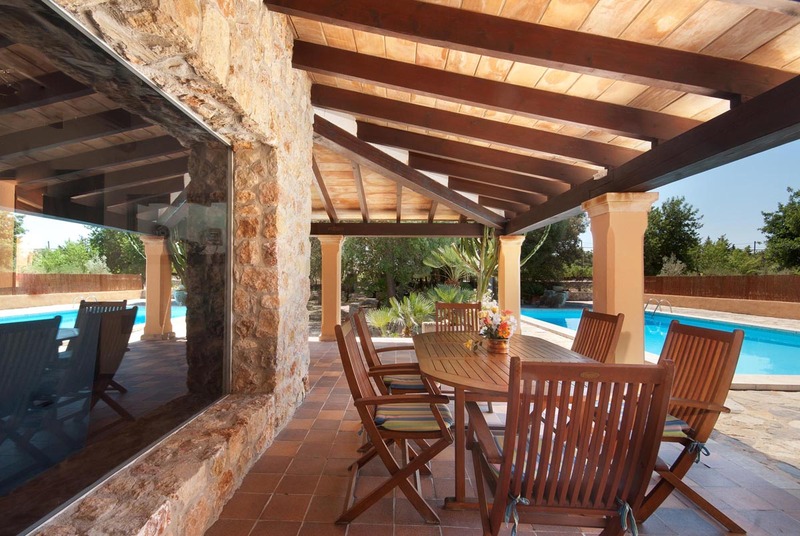 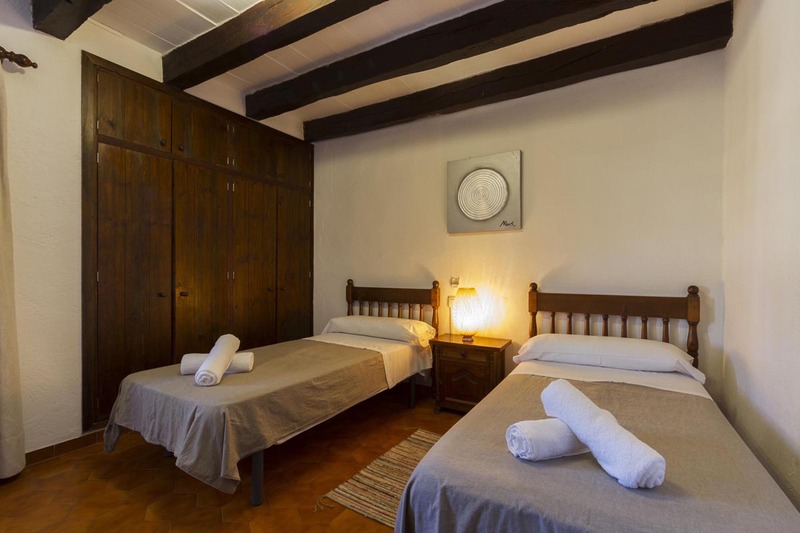 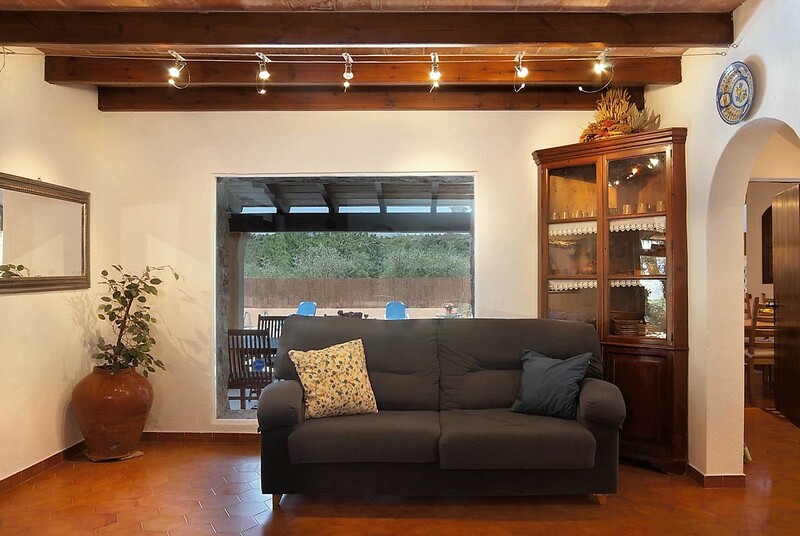 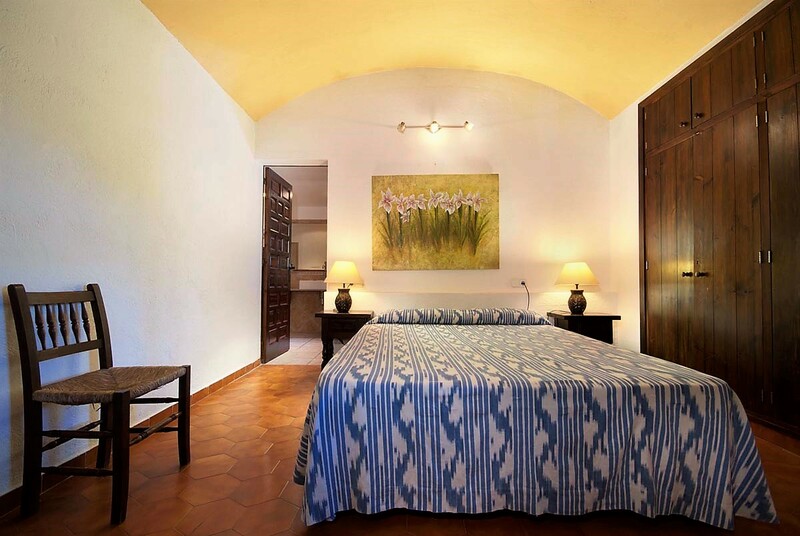 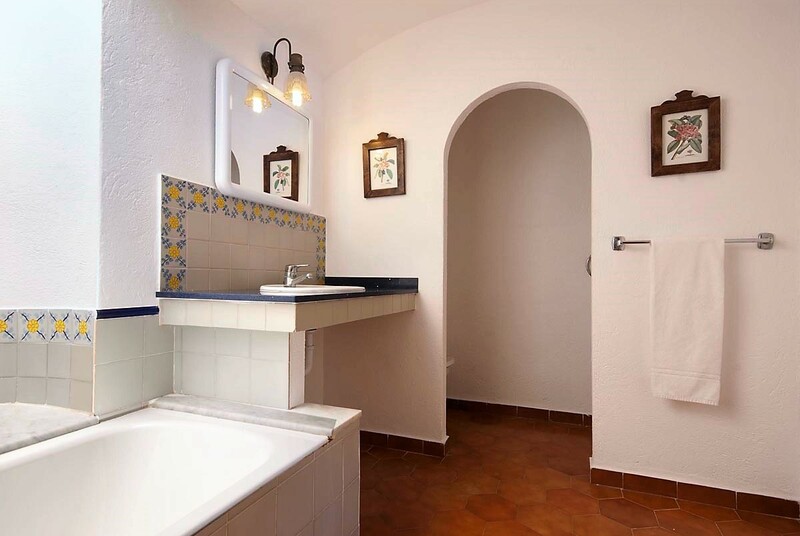 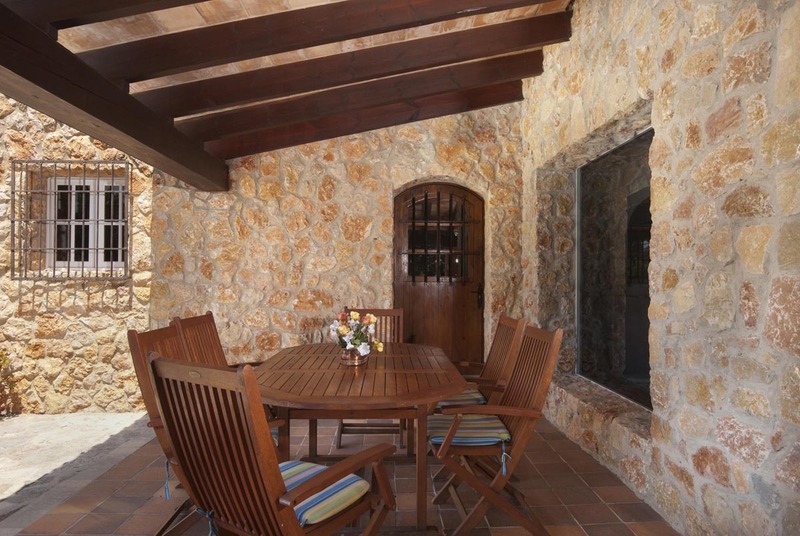 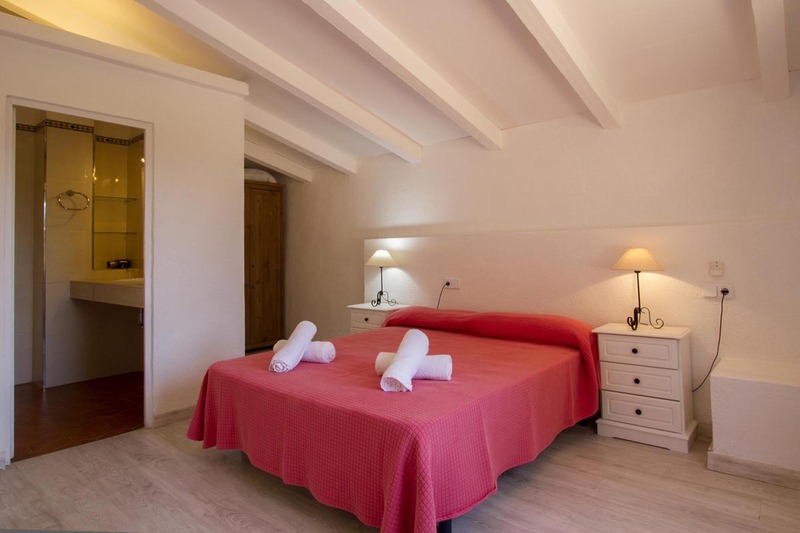 The interior of the house is decorated in traditional Majorcan style and on two floors. 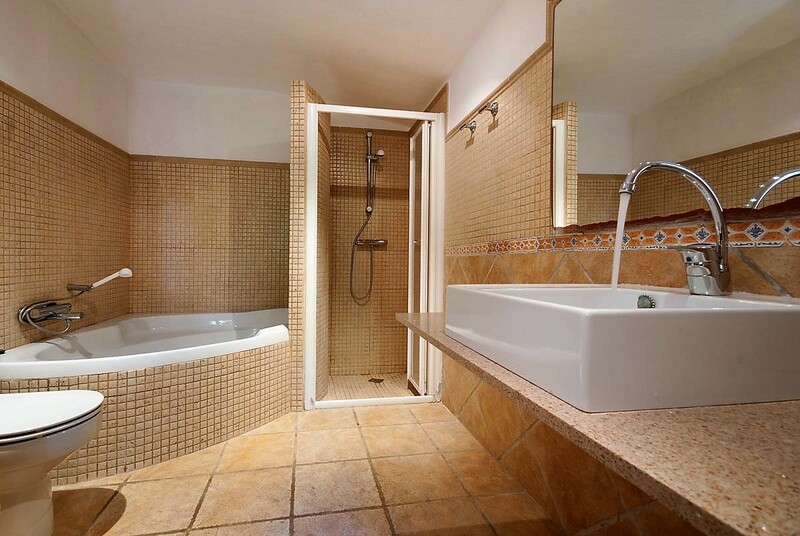 On the ground floor there are two bedrooms one twin and one double with en suite which has separate bath and shower. 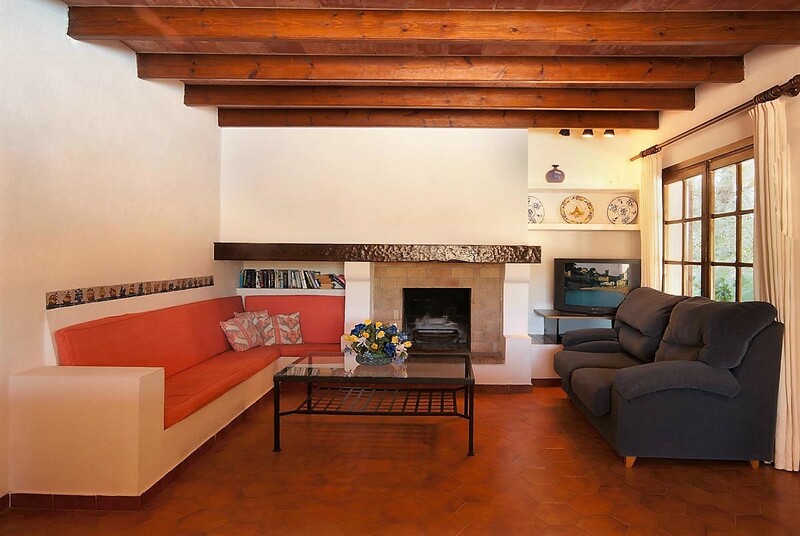 The lounge has a sofa, fixed seating with cushions and a flat screen television with satellite channels. 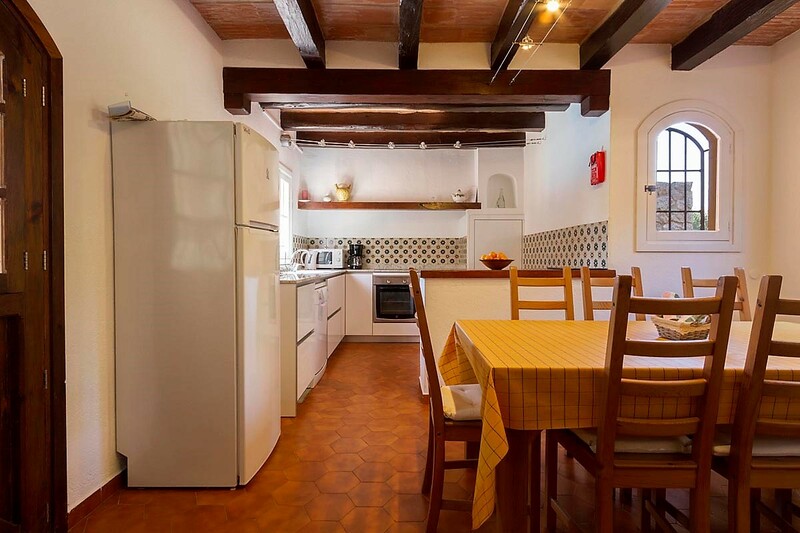 The kitchen is separate and open plan with breakfast bar and table. 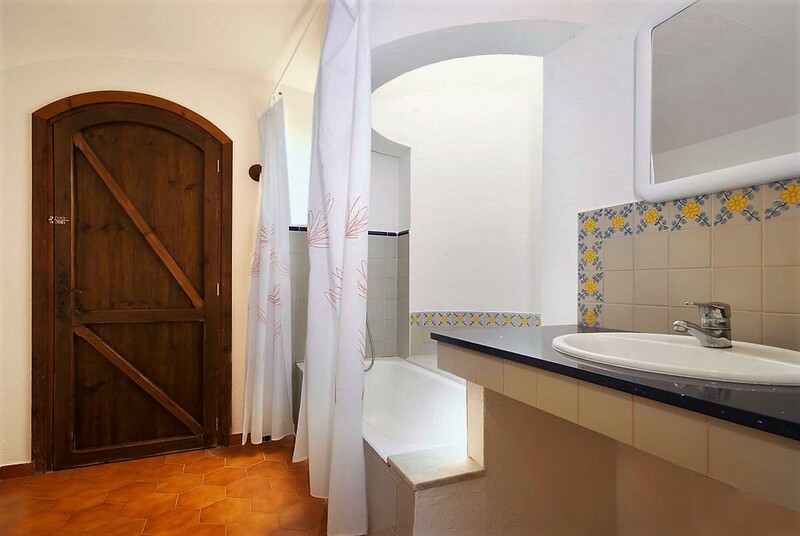 An additional bathroom is on the ground floor which has a bath with overhead shower. 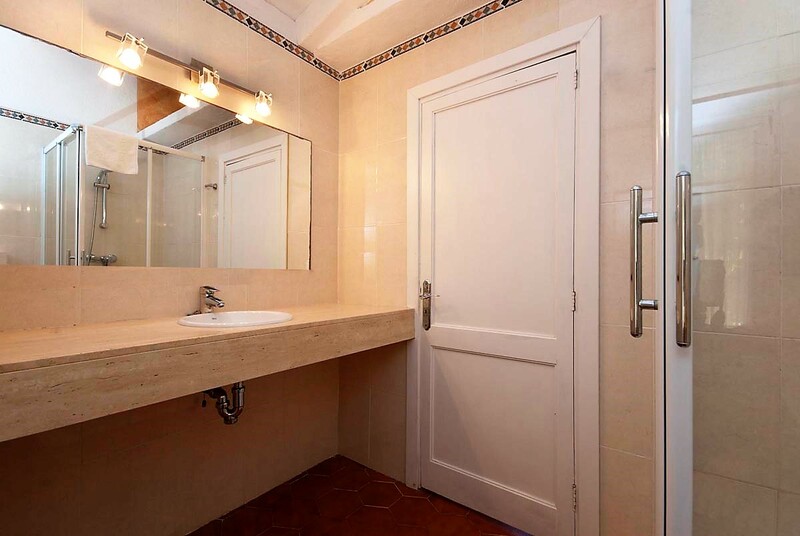 There is an additional shower room with toilet and washing machine which is accessed from outside. 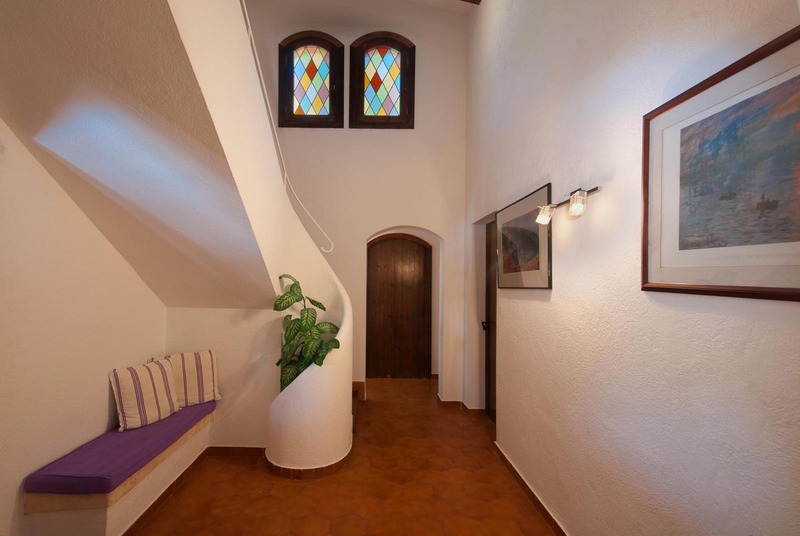 Up the stairs from the hall, on the first floor, there are two further bedrooms, one double with en suite and a twin bedroom. 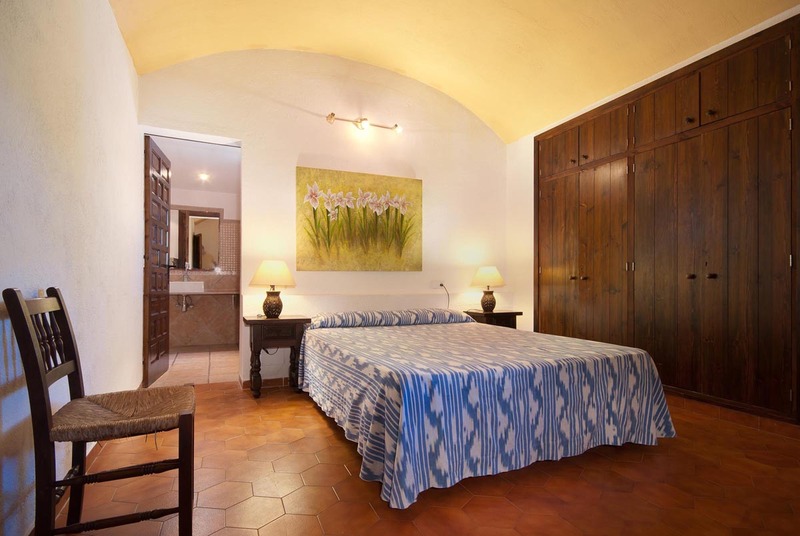 All bedrooms have air conditioning (in line with local energy saving initiatives, the villa has timed air conditioning on all units from 8:00 PM to 6:00 AM. 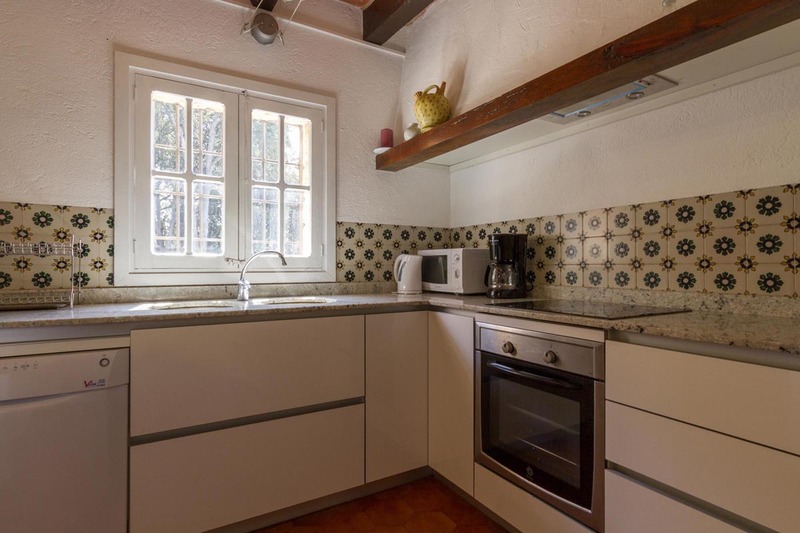 The timer cannot be extended and/or changed. 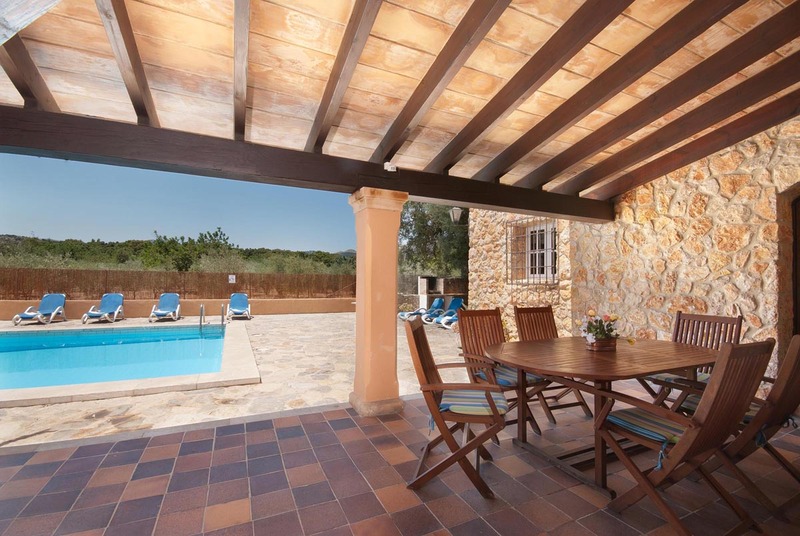 The outside space is paved or cobbled and includes a covered and furnished terrace and an al fresco dining area at the rear providing a perfect spot to relax on hot summer evenings and a built in barbecue close to the swimming pool and front terrace. 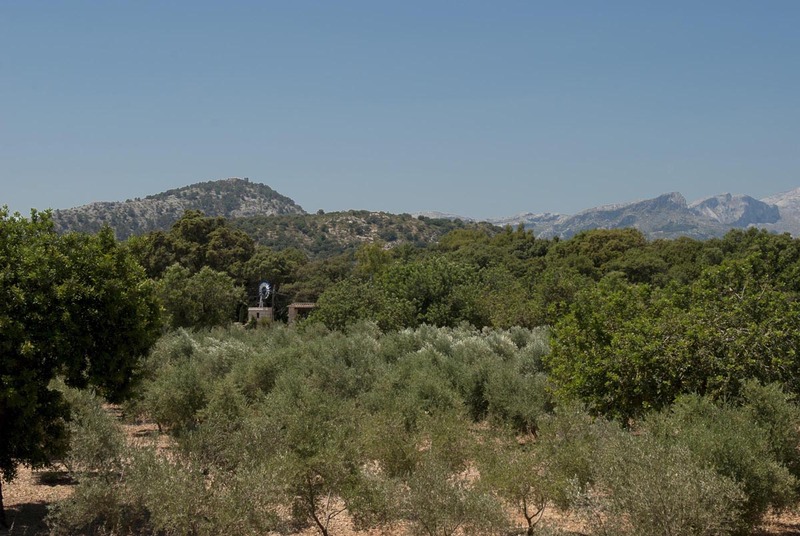 Arrival Days: Any* | *From 9th June to 7th September Saturday to Saturday.